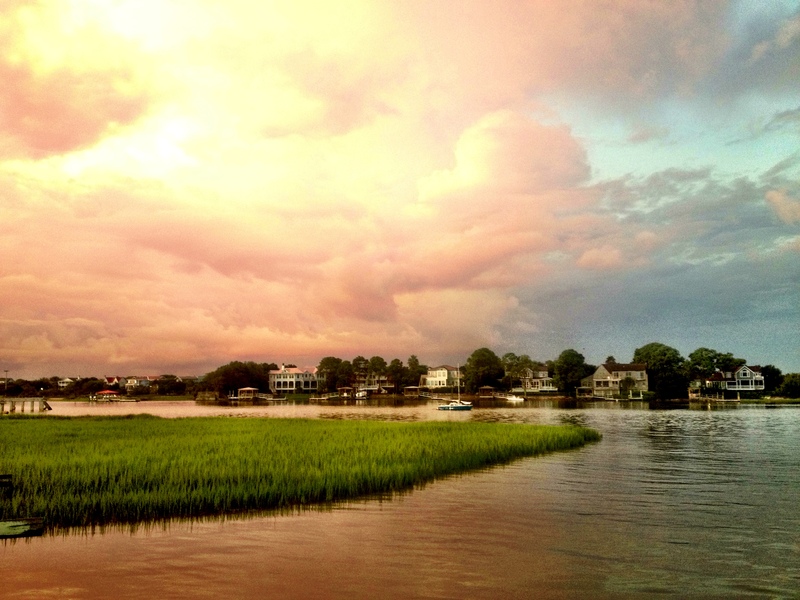 In 1999 we returned to the SC Lowcountry after ten years in Raleigh, NC. 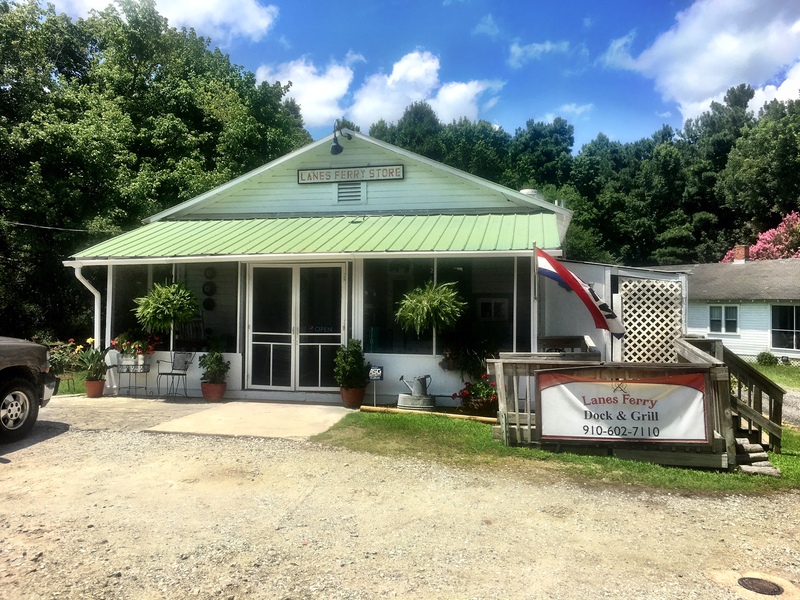 In making the move, we decided we wanted “smaller home, bigger boat.” The problem was that four years earlier I had launched a new company, with the office located in our Raleigh home. Our decision to downsize as part of returning to the Lowcountry meant locating an office outside our home. 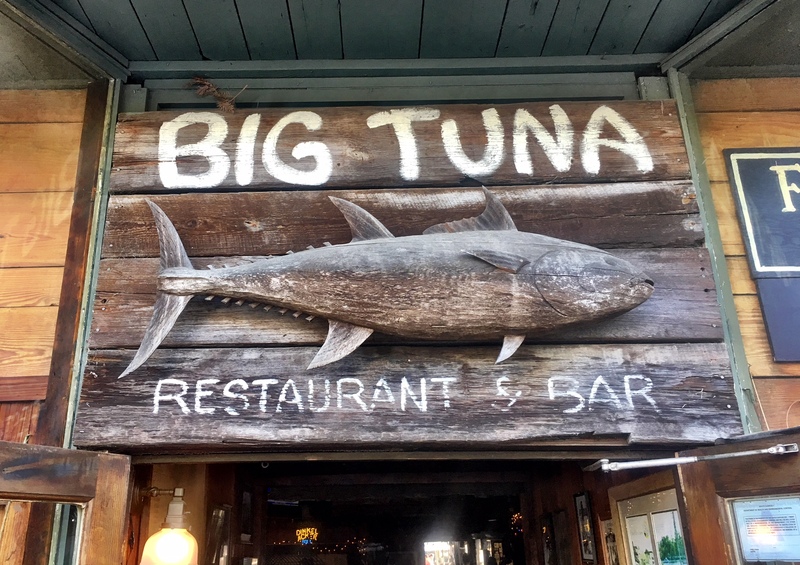 In discussing it with our CPA, he asked about the possibility of locating the office on the boat that was to be part of the “smaller home, bigger boat” lifestyle. Once I got over the shock of his suggestion, I said we could make it happen. In the mid-1990s, the “Admiral” had accompanied me to a meeting in White Fish, MT. On our drive from the airport to White Fish, we passed a home with the most unusual cabin cruiser that I had ever seen, parked on a trailer in the side yard. A few days later we returned to the home to get a better look and take pictures of the boat. We learned it was a Cargile Cutter Cruiser that was normally kept on Flathead Lake, near Kalispell, MT. After looking over the boat, I told Carolyn that if we ever moved back to the coast, I wanted a Cargile Cutter Cruiser. Little did I know that we would eventually return to the Charleston area, and a Cargile Cutter Cruiser would become my office. With a floating office, not all meetings are held in stuffy offices or at boring meeting tables. When we made the decision to move, and knew a boat office was a very real possibility, I began researching Cargile Cutter Cruisers. I learned they were designed and built by Allen Cargile from about 1970 to 1980, in Nashville, TN. Thanks to the Internet, I was able to track down and call Mr. Cargile. The late Allen Cargile was a fascinating and gracious man. When I told him the story of seeing one of his boats in Montana, and now wanting one, he offered to help in any way that he could. When I described the Montana boat, he told me it was a 28-foot model, but that I needed to find a 30-foot model. He said it would be more comfortable, and would be like the 1977 Cargile Cutter that he had cruised from New York to Paris in twenty eight days to prove the seaworthiness of his boat. That boat had been especially outfitted with bladders for additional fuel, and powered by a newly released Volvo-Penta diesel with stern drive. Proving the boat’s seaworthiness included surviving a freak, night storm with 50-foot high waves, by backing down against two sea anchors! His feat was legendary for his time, but then again he was a fearless, former Navy fighter pilot. After an extensive search, we located a 1977 30-foot model outside of Houston, TX. 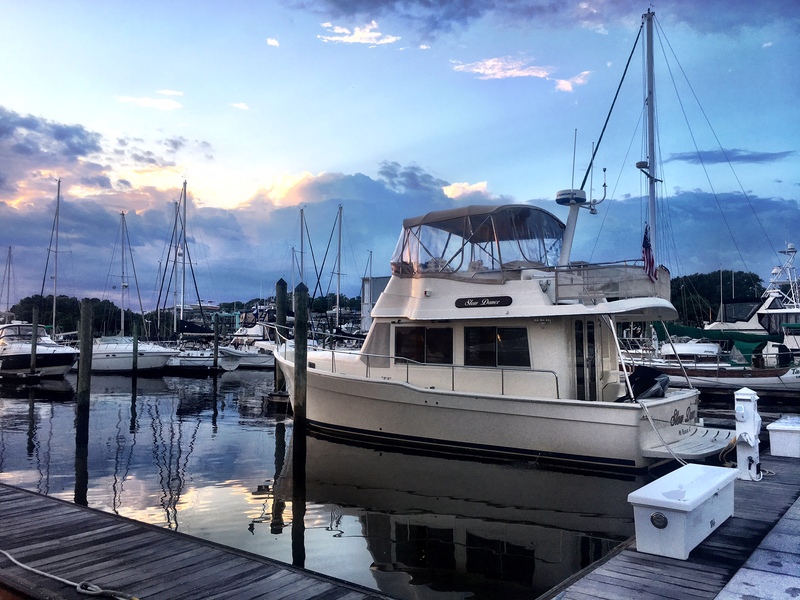 Following an inspection and sea trial, we bought it, and had it delivered to our new hometown of Mount Pleasant, SC to become our “bigger boat” and floating office. For the record, in 1999, at $15,000 we paid less for our 1977 Cargile Cutter Cruiser than many people were paying for their used 21-foot center console boats! Today there is a wide variety of new and used boats available to wannabe cruisers. They come in all models and sizes, and some very popular ones are trailerable. For those that desire cruising something larger, but still affordable, there are numerous older trawlers and motoryachts that can be bought for a fraction of their original price. “SunSmiles” was that kind of boat. Older. Affordable. Spacious. Comfortable. In our son’s words, the boat was very utilitarian, which made it easier to maintain. One thing was for sure, it attracted attention in every marina we visited, and in every day spent on the water. It is long gone, but our memories of days spent onboard will last a lifetime. “SunSmiles” proved to us that CruisingTheICW and beyond could be done affordably. In 2012, we sold “SunSmiles” to a family in Portland, OR. Like I had once done, the father found “SunSmiles” while doing an Internet search for a Cargile Cutter Cruiser. His desire to own one stemmed from the fact that when he was five years old, his father had bought one. His daughter was turning fives years old, and he wanted her to grow up with the kind of fond memories he had of his father’s boat. The minute she saw the picture of “SunSmiles” Fighting Lady Yellow hull, and heard the name “SunSmiles,” it was the boat she wanted! Sadly, “SunSmiles” was destroyed in a freak accident while being towed to Portland. Twenty-three miles outside of Laramie, WY, “SunSmiles” and two tractor trailers were hit by what the highway patrol described as a “hurricane force wind,” and all three were destroyed. In 2016, we began another boat search. This time we wanted a trawler with twin engines, two or three staterooms, and two heads. A friend strongly advised us to work with a “buyer’s agent.” It was advice that I am glad we followed. We started out with a male broker, but the relationship only lasted a short while. The day that I emailed him a couple of questions that would help determine the boat we needed, he suggested that we decide what we wanted and then get back to him. I never got back to him. We then chose Katie Williamson, a broker with Ashley Yachts, in Charleston to be our buyer’s agent, and she was outstanding. With a few short questions, Katie had us rethinking the boat we wanted and needed. How often will you use two or more staterooms? If you are buying a trawler, how often do you figure you will travel offshore, or need the speed provided by twin engines? And last but not least, how often will you need two heads? Before we could answer, she said, “Keep in mind that what you are talking about will needlessly double the annual maintenance on the boat you choose.” Suddenly, we were looking for a sweet little trawler with one engine, one stateroom, one head, and a molded stairs to the flybridge for our dog, Kate to join us there. When we found our little 2006 Mainship 34T, our buyer’s agent said, “She will drink six, feed four, and sleep two, very comfortably. AND Kate will have easy access from the dock to the boat and up to the flybridge!” SOLD! After cruising “Slow Dance” for a couple of years, we realize if we had a larger boat we could enjoy friends or our grandchildren sometimes traveling with us. It goes to prove that you should “measure twice and cut once” when considering exactly how the boat of your dreams may be used. All things considered, “Slow Dance” may be our forever boat. 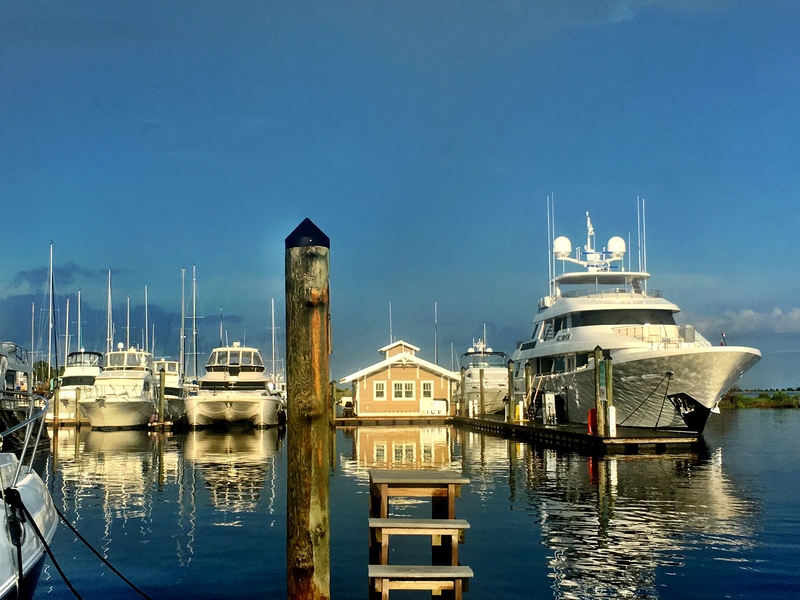 In addition to the expense of maintaining twin engines, twin heads, and twin staterooms, keep in mind that unless you own the boat slip, the size of your boat will dictate the expense of dock fees, whether at home or while cruising – and 40-feet seems to be the dividing line on when per-foot costs increase. When it comes time to buy, work through a reputable yacht broker or buyer’s agent, and by all means, get the boat surveyed as part of the purchase agreement. BUT before paying the expense of a survey, do a personal tour of the boat in question, or if it is a distance away, find one closer to check out. The “Admiral” and I looked at a Mainship 390 and another Mainship 34T before deciding a 34T was the boat we wanted. 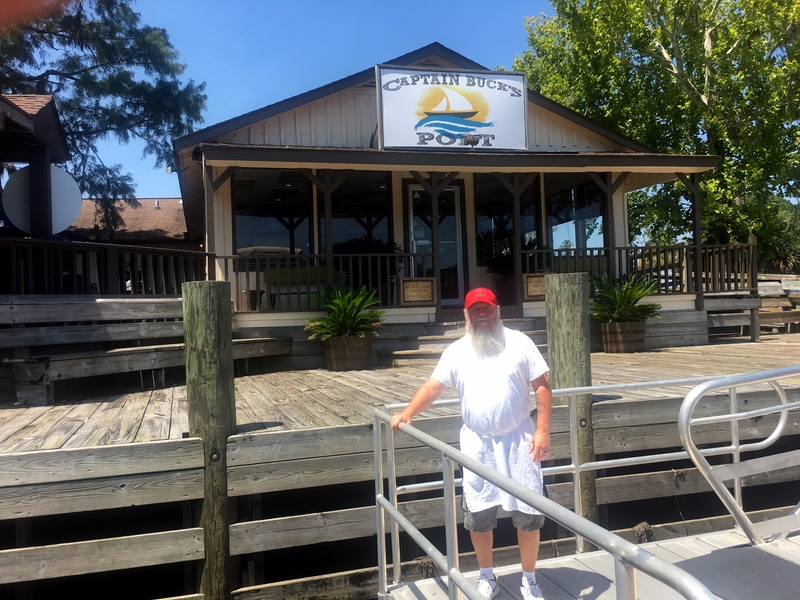 As we discussed it while driving home from Deltaville, VA where we had inspected a 34T, I said I wanted to check YachtWorld.com one more time before putting a contract on the Deltaville boat. That one last look at YachtWorld led us to the boat that would become “Slow Dance” – and it was definitely worth the wait. For the record, I am not a yacht broker, marine surveyor, or marine technician. 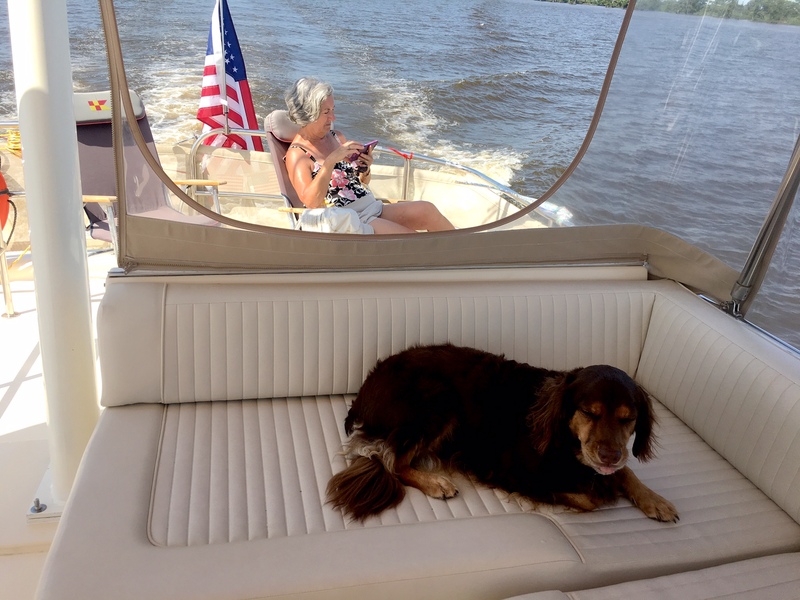 I am a boat owner that went through a multi-month process of research for an affordable boat that would fit the needs of a retired couple and a dog that wanted to go CruisingTheICW. 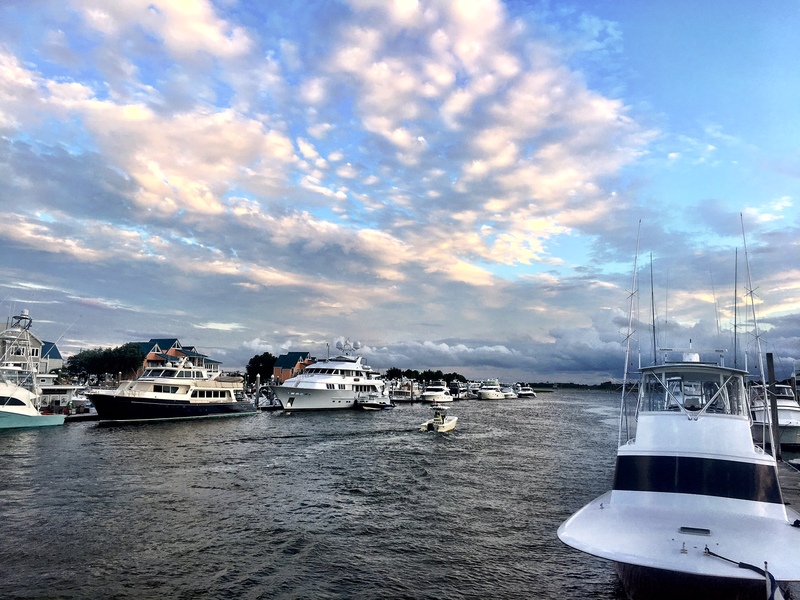 The following short list of considerations was compiled based on our personal experience in the boat search and purchase process. I sincerely hope it will help as you deliberate taking your cruising dream to the next level. Think long and hard, and then do your research to determine the type of boat you want. TO REPEAT: If for no other reason, use your buyer’s agent in determining the value of fair market value of your dream boat, and in negotiating the offer. What type of cruising will you be doing? Just cruising the ICW, planning the Great Loop, or is offshore in your future? How often will you need two staterooms, two heads, and two engines to maintain? What is your budget for this dream boat? If possible, buy a boat you can afford without financing. 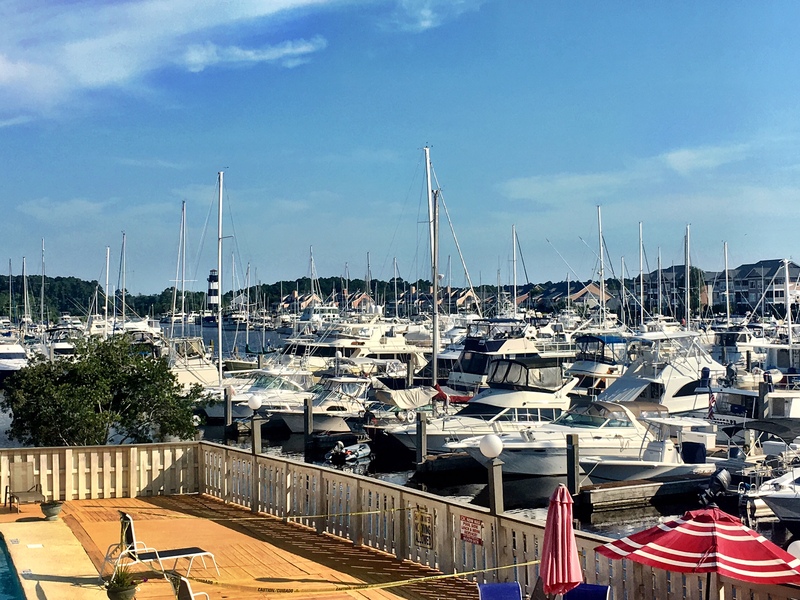 Before putting a contract on a boat, or ordering a survey, visit the boat for a walkthru to see the layout, the general and obvious condition, and determine is that is really the boat you need or had in mind. EXAMPLE: The “Admiral” did not want a galley down model of any boat, until she went onboard a Mainship 390 with galley up, and then the Mainship 34T with galley down. After touring both boats, she realized Mainship’s galley down did not leave her feeling like she was in a cave, like she had experienced on other boats. Once you’ve found the boat of your dreams and are ready to put a contract on it, THEN schedule the survey. Your buyer’s agent should have surveyor contacts regardless of wherever the boat is located. I personally recommend the engine(s) and generator be surveyed by a licensed surveyor that is extremely knowledgeable about the specific engine(s) in your dream boat. I also personally recommend a second surveyor to do an indepth survey of the overall boat. Once the survey is complete, you can cross-check their reports related to the engine(s) and generator. Let your buyer’s agent negotiate the “survey allowance,” – if there is any – with the owner’s broker. As a novice boat buyer/owner, I readily admit that you, any broker, or buyer’s agent could add to my list. 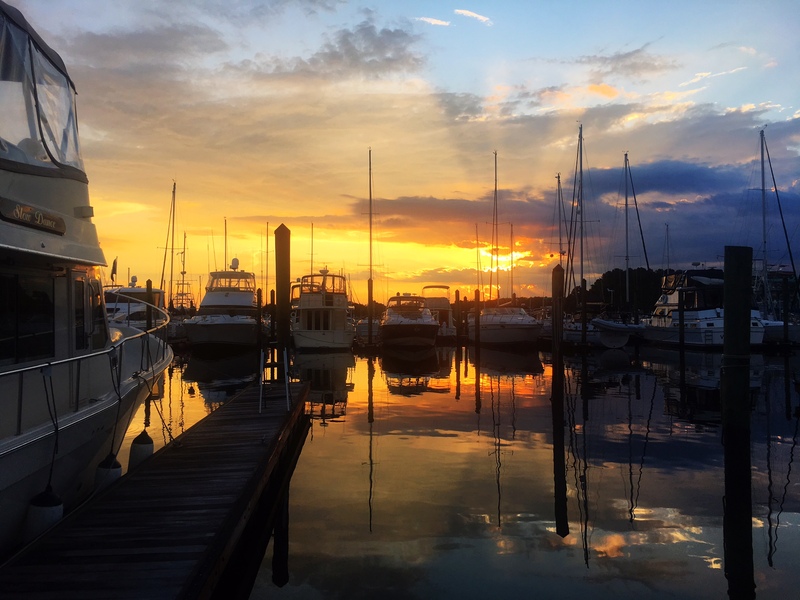 Just consider my list a starting point to get you thinking about the process of your dream of boat ownership and cruising.